It must be tough finding new territory to explore in a show that’s gone on for 11 seasons. Add the fact that the show in question is very pointedly about characters who don’t experience any real growth and you’ve got an additional challenge of keeping things fresh. 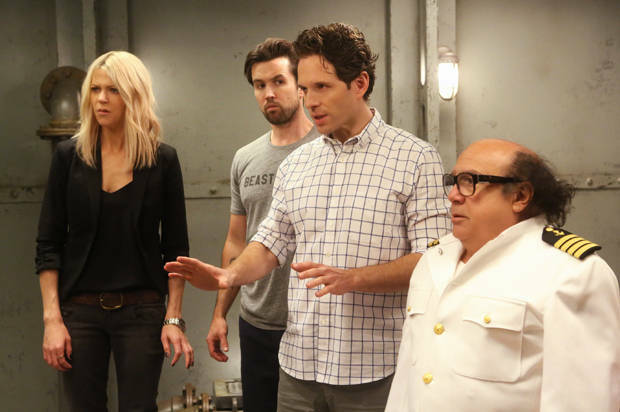 Despite these very real hurdles, the Always Sunny crew have largely done the impossible and have steadily put out quality seasons full of funny material for all of its characters. Has the writing lost some of its bite over the years? Perhaps, but more so it’s that over the past few seasons that bite has turned largely internal, the group’s mistakes hurting themselves far more greatly than others which makes the show seem, for lack of a better word, nicer. While season 11 won’t go down as one of the series very best it’s largely because it didn’t make an overall impression-not because any of it was downright poorly made. For the first time Charlie Day, Glenn Howerton and Rob McElhenney relented the writing duties to others, and it showed as the cast was moved further and further from their beloved pub and into gimmicky or theme-oriented heavy episodes. The show has always worked best when it’s allowed the focus to stay largely on the core five causing havoc amongst themselves in the safety of Philly, and season 11 demonstrates why–move elsewhere and it goes the way of any other weekly sitcom. It’s Alway Sunny is (unsurprising) a difficult show to review at this point–what more is there to really say? But then they bust out the two-part finale of “The Gang Goes to Hell,” two episodes demonstrating the series elements at their very best, with all actors delivering season performance highlights. If there’s been one consistent showcase this season, it’s been Howerton’s Dennis, as he further finds himself under the sociopath label. Howerton has found more heights this season in his character’s unhinged nature, escalating deranged rants into an art form. The rest of the cast gets their moments to shine in the finale however, and 11 seasons in, I still can’t help but be appalled that Kaitlin Olson has never received awards love for her role, Sweet Dee being a very different animal than most female characters on television. Day’s sequence where he grabs the gun is chilling, like many moments in the series where Charlie gets to implement his logic, and McElhenney once again showcases the vulnerability that makes Mac’s position in the group so sad. When he learns that Dennis hid letters from his father from him, he just completely shuts down, sitting in the rooms raising water. Beyond the acting, the show returns to what works best because it isolates the characters completely, keeping them contained to one room and trying to distract themselves from the impending “doom.” Whether this is making impersonations (Dee’s turns out racist) or eating imaginary meals, it’s all a way for them to end up picking at one another, something that escalates by the time the ship has turned on its side and instead of confessing or trying to make peace, they instead try and out tattle one another (Dennis’s lies to Mac win of course). Even in the face of death, this group is never going to change their ways or reform in anyway, they’re assholes to the bitter end. Of course, the gang weren’t ever going to actually die, something that’s revealed in the last moments, but it’s a way to bring to focus the internal chaos all the characters can cause. Maybe it wasn’t the best season the show has ever had, but if they can keep creating episodes such as the finale, it’s still one of the best comedies on television. Again, at 11 seasons, that’s quite a feat. Previous ArticleTV Review: Shameless (6x09) "A Yurt of One's Own"
Next ArticleTV Review: Supergirl (1x16) "Falling"